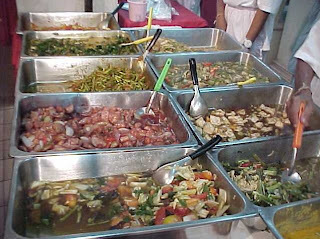 Vegetarian foods is widely available in Thailand. The widest choice, however, is available at the Vegetarian Festival in Phuket Town. Every year in October the Phuket Vegetarian Festival is being held in Phuket City for ten days. The Festival is a Religious Festival of Chinese origin. Hence it is being held in Phuket City, where many people of Chinese origin traditionally live. Nice blog, this of yours. Mine is abaut a Great portuguese writer: Cristóvão de Aguiar. I post my own vegetarian recipes at Thailand Travel & Food if you'd like to have a look.